It’s happened to all of us. 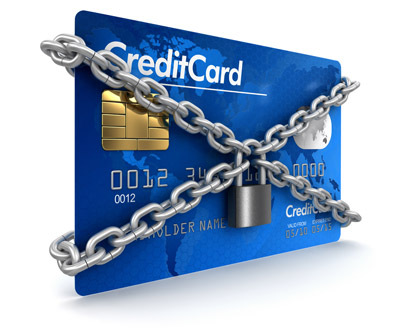 We forgot we left our credit card in a different jacket, call the bank to immediately cancel the card, and scramble to update our numerous accounts with the new card information, hopefully avoiding late charges because our payment method is no longer valid. With the AI-powered Facebook Messenger bot, life doesn’t have to work this way. Developed by First Performance Global, the bot allows people to pay bills from one place, turn their credit card on or off at will, and set spending limits to fit their budget, travel and lifestyle directly from Facebook. I talked with the experts behind the U.S.-based fintech startup during the launch of the SAP Next-Gen Innovation Community for Financial Services at the SAP Leonardo Center in New York City. According to CEO Bill Hernandez, First Performance Global tackles one of the biggest challenges holding back innovation in the payment industry ─ legacy systems. The Facebook Messenger bot triangulates data between what you bought and where you are to prevent false positive fraud reports in real-time. Consumers can also get granular with card controls, setting limits to curb spending for themselves or children by amount, within certain timeframes and categories. Bots like this offer a lifeline to banks that are under increasing regulatory and competitive pressures. Indeed, the Facebook Messenger bot aligns perfectly with the second Payment Services Directive (PSD2) in Europe, requiring banks to share customer account data with third-party providers. First Performance Global is also targeting insurance companies and online payment services such as PayPal. “It’s not just credit cards. The platform we’ve developed can support any transaction. Faster payment schemes will eventually support loans, mortgages and other products,” said Hernandez. He said the startup was in the early phases of integration with the SAP Cloud Platform, and looking into pulling data directly from SAP ERP solutions. Just a few short years ago, apps were the seen as the ultimate tool for consumer convenience. Fintech is disrupting that model already. Gartner Research has predicted that 20% of brands will abandon their mobile apps by 2019.